In the expedition, the hunters use the IMZ-Ural motorcycle that was used in WW2. One person drives and person who is not driving, will attack the Tyrant ,when encountering the Tyrant. There will be 4 people in each squad. So in the motorcycle it will be used by 2 squads. As an example, Squad 1 members will drive and Squad 2 members will sit and attack when encountering a tyrant, or squad 1 member and attack and Squad 2 member will take over the driving. Everyone started to accelerate and went into ground zero. “2, 5 feet Tyrants approaching from 3 O’clock!” Squad Leader Reslet announced. “Reslet and the rest of squad 12 members, attack!” Commanded commander Alexander. Whoosh! As Squad 12 maneuvered towards the 2 Tyrants, squad 13 took over the driving of the motorcycle. “Trevor and I got the Tyrant on the Right, Pean and Kian, get the one on the right!” commanded Reslet. Whoosh! Reslet flew and fired his gun at the Tyrants knee. Then Trevor shot the grappling hook through the Tyrants chest. Then Trevor reeled in the grappling hook. While the Tyrant was dragged by the grappling hook, Reslet used the advantage of the speed that the Tyrant was being reeled in towards the grappling hook and sliced the head off from it’s body. “Wow! This is amazing. They killed two Tyrants in like a minute!” Bartu was surprised. “I can do that.” Ethan said confidently as they were driving through the wrecked houses. “2 Tyrants are down!” Reslet got back on the motorcycle and reported to Alexander. An abnormal Tyrant was approaching. It looked at Ethan and started to twitch. As they drove past the Twitching Tyrant more Tyrant started to follow Ethan. “Commander there are too many Tyrants!” Reslet reported to Alexander. “Keep advancing! They are not attacking we will try to lose them! Do not Engage!” Alexander commanded. Ethan started to twitch also. “Ethan?” Suzu was scared what was going on. The Tyrants are all twitching, so as Ethan. Bartu started to see a difference on Ethan's face. His eyes were red. Red as a blood. Ethan fired his grappling hook at a wall and jumped off his motorcycle. “What are you doing!” Thomas asked Ethan. But he ignored Thomas. Ethan maneuvered onto the building's roof. Then he started to fire his gun at the expedition Hunters. “What! Is that Ethan? It can’t be! I thought it was on the 25th!” Alexander was surprised that Ethan betrayed the expedition hunters. As Ethan started to fire his gun, all the Twitching Tyrants that were following Ethan also started to attack the hunters at once. Trevor maneuvered his way towards Ethan. 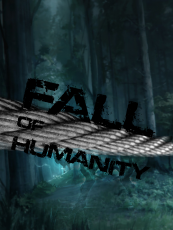 “How can you betray humanity!” Trevor raged and shot his grappling hook at Ethan. “Ethan!” Suzu was surprised that Trevor shot a grappling hook at Ethan and the hook went through Ethan. Trevor landed on the roof. He stared at Ethan’s eyes. He took his sword out and he was about to slice Ethan in half. That’s when Ethan Exploded. “What just happened!” Trayne was surrounded by fear. There it was. A skin colored Tyrant. Trevor was stabbed through his chest by the skin colored Tyrant. “This is payback!” The skin colored Tyrant spoke to Trevor’s dead body. © Copyright 2019 Suzu. All rights reserved. A Dragon Tail - Chapter two and beyond.